Can we get to see Chennai City in ISL from next season? The race of top three of the Indian Super League is more or less settled with three teams vying for the fourth spot. Bengaluru FC, FC Goa and Mumbai City are all set to book a place in knock-out rounds. But the picture is completely different in I-League. At least five teams, separated only by five points, are battling for the title. Unlike ISL, I-League have a round robin format and the team that garners points will win the league, which happen in most of the top footballing countries. Chennai City have been the most surprising team not in the I-League, but in the Indian football as well. With a proper plan and a visionary coach, they have turned the table this season. From an eighth place finish last season, the team from Coimbatore are currently topping the table with only six matches left. But it seems they have already prepared to jump their ship to the ISL in future, if not next season. According to reports, Chennai City are set to announce their partnership with Swiss club FC Basel in a formal press conference on February 6 at the capital. FC Basel President Bernhard Burgener and CEO Roland Heri will be present. However, nobody is willing to speak up anything unofficially. 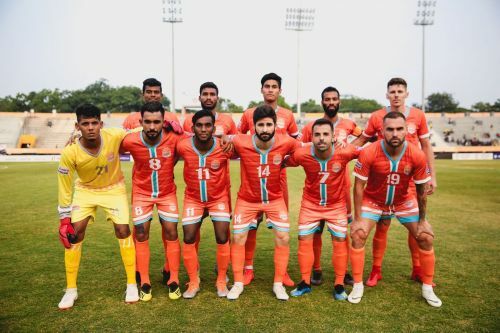 Not too long ago, defending champions Minerva Punjab also joined hand with German club Borussia Monchengladbach, which focused towards the youth development and exchange programmes. The investment of huge sum means FC Basel will be the de facto owner of the club and will have their say in player recruitments and operations. In that case, they would probably make a bid to play in the ISL, which is more popular among Indian spectators. No wonder ISL has more fame and attention than the I-League and it is also one of the popular football league across the world, in terms of attendance. So, the Swiss investors will try their best to make sure the team plays the top division league. We already know Kolkata giants East Bengal and Mohun Bagan are all set to feature in the ISL next season. While East Bengal have roped in Quess Corp as their investor and have no monetary problem, the green and maroon are yet to announce something like this yet. So, whether or not Chennai City will play in the ISL depends on the FSDL. It remains to be seen how many teams they will allow in the next season. According to insiders, the Kolkata giants will be given the first preference, keeping in mind their huge fan following. In that case, Chennai City may have to wait. The last major European club to invest in an India was Spanish top division side Atletico de Madrid, who joined hands with Kolkata Games and Sports Pvt Ltd to form Atletico de Kolkata in India. The partnership lasted for only three years. Now, there is a rumour the Atletico de Madrid might come back to India to partner with another ISL club Jamshedpur FC. In order to promote their youth development and grassroots, many Indian club have joined hands with their European counterparts in the past. But almost all the relationship broke down at one point of time. Due to lack of vision, Indian club owners always failed to understand the need of their investors. They stuck by their own rule and arguments followed, which ultimately led to the pulling out of the European clubs. But Chennai City, with a solid management, can be an exception in this case. It is their trust on the coach that earned them the success. Coach Akbar Nawas has repeatedly praised the management for encouraging his work. If Chennai City ultimately decide to join the ISL, it would only benefit the league. But one pertinent question will occur, what will happen with Chennaiyin FC? The ISL generally follows ‘one city one team’ rule, with an exception to Maharashtra, where FC Pune City and Mumbai City FC play in ISL. But rumours are doing round that both the clubs will merge to form a single club from the next season. Even if that happens, there will multiple teams from at least one city if East Bengal and Mohun Bagan join ISL along with ATK. So, Chennai City will face no problem in getting along with direct competition with Chennaiyin FC.